Special thanks to all of the featured speakers for their participation and unique insight. As a service to attendees and even those who were not able to attend, PDF copies of each presentation (click the slide graphics to the right) have been included below as well as additional resources pertaining to each presentation topic. CLICK HERE for event highlights. 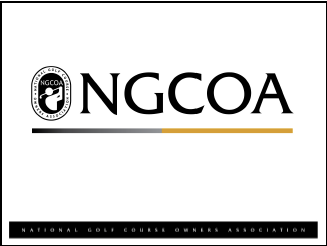 Summary of presentation: What's next for golf? We are at a crossroads in golf. What made us successful in the past may not be what supports the game and business in the future. Jay discussed his views on the intersection of the game of golf, the business of golf operations and what's happening in American society that impacts all of it. Where do we go from here? Jay provided some food for thought and action. 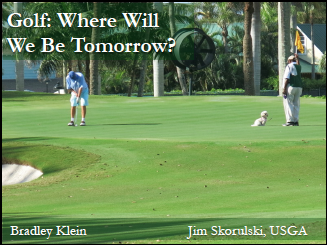 Summary of presentation: Jim and Brad came together to provide a fascinating summary of golf course presentation and maintenance strategies from the current and into the future. The design and upkeep of golf courses has changed dramatically over the years, and these two experts will take you back in time, look at the present landscape and then fast forward into the future for a look at what the next generation of courses will look like and how we will be taking care of them. Summary of presentation: Club marketing was an oxymoron in some private clubs only a decade ago. Yet many still struggle with how to reach out to the 20-minute 20-mile potential member/customer radius around them. Club owners and boards are searching for answers to many questions; How do we raise awareness in the surrounding community in a way that accurately reflects our brand? Is inbound marketing the digital version of the analog member referral? What can we do today that will add revenue streams tomorrow? Summary of presentation: The Golf Digest Hot List. 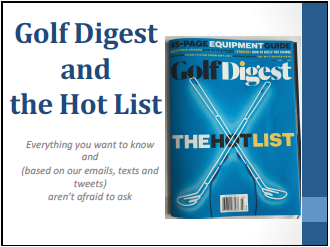 Since 2004, the Golf Digest Hot List has been the centerpiece of the magazine¹s coverage of the most significant new clubs and balls in the game. Mike Stachura and E. Michael Johnson, the two principal editors who've been responsible for the Hot List from its very beginning, discussed all aspects of Golf Digest's equipment reviews, including how it's done, how it's been received and how they¹ve improved. They also offered their thoughts on the state of the equipment game today, and why we're living in the golden age of golf innovation. Summary of presentation: The Present & Future of The Rules of Golf. Several significant changes (which went into effect on January 1st) were introduced in the Rules of Golf in 2016. David discussed those Rules of Golf and explained how the USGA works with the R&A to determine and implement such changes. He also spoke about what is in store for the next revision to the Rules of Golf and the recent change in reporting scores for handicap purposes and its relationship to the development and implementation of a unified World Handicapping System.